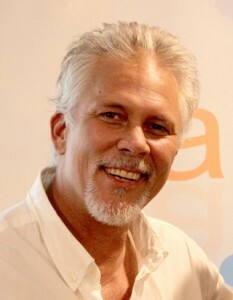 When it comes to having experience in the home restoration industry, John Fowler is considered an expert. He opened 911 Restoration St. Louis to increase the amount of people he can reach out to give a fresh start. He has a passion or helping his community, and by being a strong, compassionate force in the home restoration field, he is one of the best in the business. According to John, “It takes way more than just tearing out dry wall to get the job done right.” He wants people to be aware of how much pride he puts into his home restoration projects, big or small. Every house that he helps become a home again is just as important as the last. John is in this business for the people. Most of his attention goes to quelling the anxieties of his customers and letting them know that the 911 Restoration team will do everything they can to make their situation better. Like John puts it, “I don’t restore houses, I restore homes.” This ideology is one that John implements into every aspect of his work. And with the help of his staff, John helps homeowners keep their homes protected. Don’t let water damage get the best of you. There are preventative measure you can take in order to decrease the likelihood of water damage effecting your property. It is actually easier than you may think, and 911 Restoration Saint Louis wants you to take the right steps that will keep you from having to make future repairs. In the event that you still experience a water damage emergency you can call us anytime, day or night. The advantages that come with owning a local business is that professionals can be at the water damage site almost immediately. 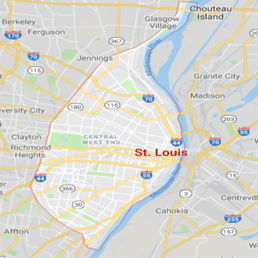 911 Restoration Saint Louis vows to be at your home within 45 minutes of receiving your call for help. 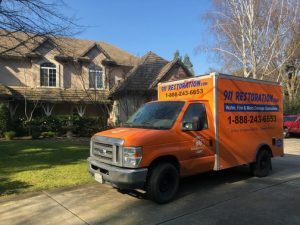 Once at your home, the water damage experts will make sure to walk you through the entire restoration procedure, that way you can put your mind at ease knowing that you have a team of people on your side fixing the problem. Not only will we efficiently repair all the water damage, but we will help walk the homeowner through the insurance process. 911 Restoration Saint Louis will stay in constant communication with you about your home restoration, weather it involves water, mold, fire or sewage. We are here to give you a fresh start, so please call us today (314) 627-0854.